The Long Road to China: Favorite Photo Friday - "Elf Adventures and Winter's Beauty"
Favorite Photo Friday - "Elf Adventures and Winter's Beauty"
I have to admit, the girls are not the only ones having fun with "Ella the Elf" this holiday season. Even though it takes some extra work and time on my part, it is so worth it when I see their happy faces. If you frequent Pinterest and Instagram you can get some great ideas! I thought I would post some of what we did this week. . . The next night she left a note saying that she had a run in with Rudolph when she flew back to the North Pole so she helped herself to our first aid kit and a makeshift hospital bed. The girls really loved this one!!! 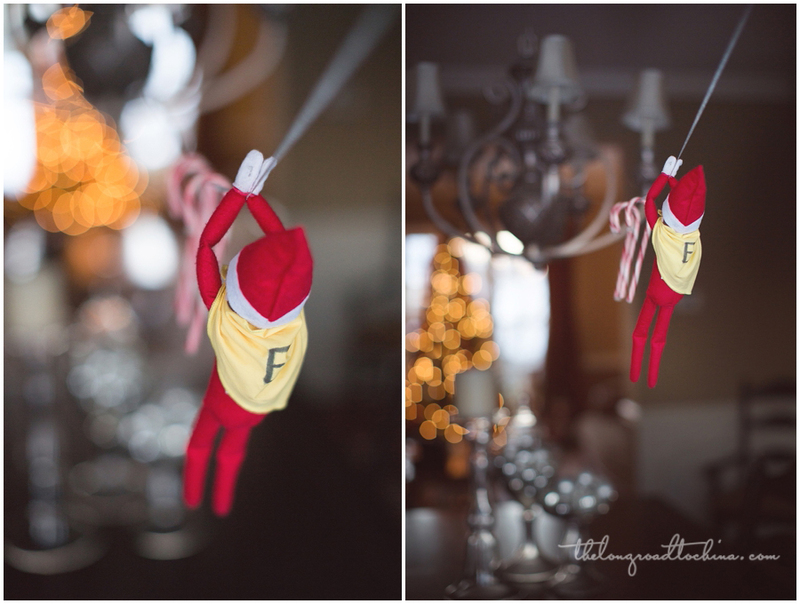 Thursday morning they woke up to "Super Ella" who zip lined in with Candy Canes! I went digging in their doll clothes bin and found the yellow bandana that I turned into a cape. Added some washable marker to personalize it and she was ready to go! Sugar for breakfast??? sure, why not!! The excitement level is really growing around here. . .
in addition to all of the holiday activities, we have received some of the white fluffy stuff. A few days of school delays and one day completely closed makes for a hectic work week, but it sure was beautiful!! The top two photos are a pair of beautiful silver knit gloves that were a gift from my sister. I noticed how the glitter in the gloves caught the light when I zoomed in on a piece of ice that was stuck to them. The lower left is an old barn/shed that I pass every day right down the road from our house. It screams out to me each time I pass it, so when I saw it snow covered, I had to roll down the window and take a pic. 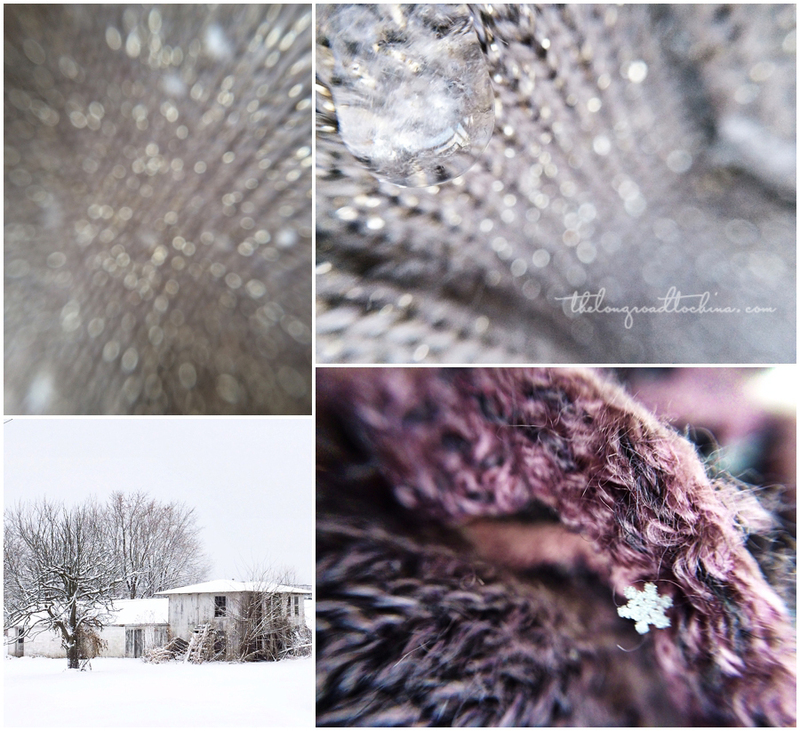 The last photo is a lone snow flake that was stuck to my scarf. I could not believe the shape. . . it looked almost too perfect to be real, but I assure you, it is!!! All of these photos in this collage were taken with my iPhone and an Ollo Clip attachment. If you are looking for a last minute Christmas Gift, this is a GREAT ONE for any photo enthusiast. I love my DSLR, but there are times it is just not practical or handy, so I go to my phone with this awesome little 3 in 1 lens attachment. I bought mine at the Clickin Moms Store if you are looking to make a purchase…..and while you are there, you might find some other fun photography related gifts as well. Okay, time to say "Happy Weekend". . . off to work I go! Don't forget that the Mama Mia giveaway closes tomorrow night at 11:59pm Eastern Time. Get your entry in before it is too late. Love these pictures! Our elf is from the first year they came out and his hands are sewn together. Are your Eli's hands sewn together or did you undo them and then re-sew them? Last year I saw a tutorial for putting wire in the arms and legs so you can bend them- but I have not been that adventurous yet! Just ruinous about her hands and wondering if the newer ones have wire in them? 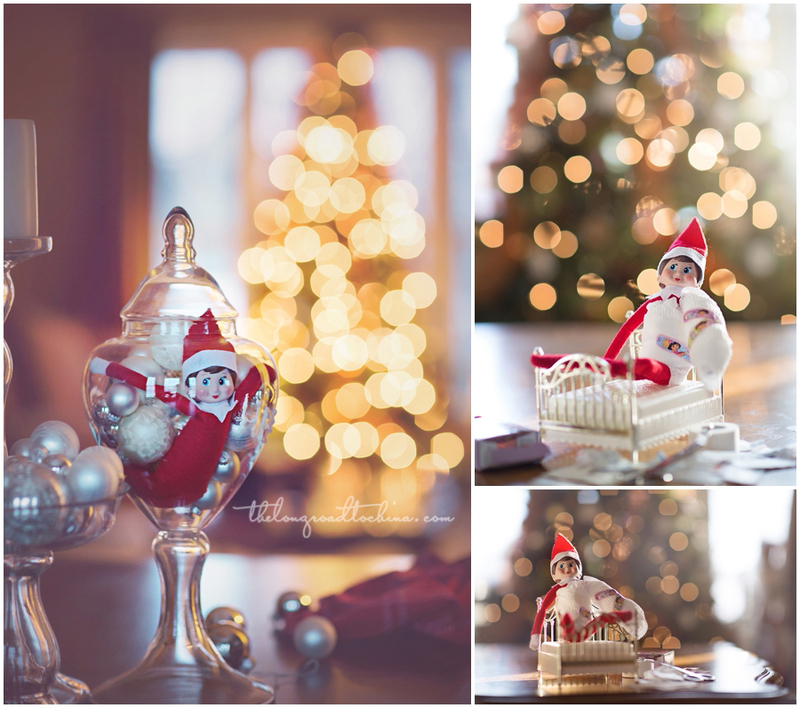 I think Christmas just came to me with these photos! Beautiful photos Lisa! I have the lenses for my iphone and love them too...sadly I think I have lost the macro lens though, it was my favorite. Isn't it fun to capture the world under a blanket of snow! Oh I so love that snow on your scarf photo!! Gorgeous! Wishing you a great weekend!